Over the past few days I have had a few different users, ask me for advice on what to do now they are on steemit. As I have also been attempting to get some of my family and friends to join, but they seem to be facing some mental roadblocks that are preventing them from joining and thriving on steemit. So I have decided to do a simple breakdown post, to try to help explain some of the most common questions I have been getting and the best advice I can provide to try to give the easiest non tech response to people's questions. Please note that I am not a developer and I have little to no tech experience, but I have been an active user on the platform for going on 11 months now and I have figured out so much in that time - I wish someone could have just told me all of this when I first started, so here it goes. After you have created your account things can get a little daunting at first, users are often keen but unsure where to start their journey. So my advice is to, figure out what it is you hope to get out of steemit? You need to decide if you want to be a content creator(post), a curator (voter), a commenter or a combination of the three? How much time and energy do you want to put into your success on steemit? Answer these questions and you will know what it is you want to do, the next step is learning how to do it. 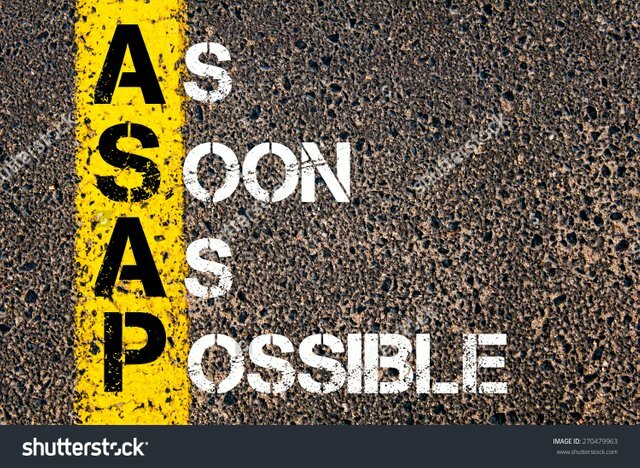 There really are so many possibilities on here and it's all up to you, how you participate and interact with the platform and it's users. I think steemit is like life, it's good to diversify your investment (your time) I try to be involved in all aspects I can I post, vote, comment and resteem. Posting is for the content creators and you can do pretty much anything you can think of here on steemit, from art, to political, to crypto and even simple blogs - any topic that interests you is the perfect topic for you to post on. Unsure what to write at first write about what you know, your job, your life, your interests and if you're passionate and knowledgeable about it's easy to create a post. If you wanted you can even document yourself learning something new, research it and then present it to others to use as a resource - the possibilities really are endless. Here are some tips to help enhance the quality of your posts. Look over your work, does it flow well when you look over the post? As with posting you can also earn by writing quality comments, though realistically at this point you are likely to earn considerably less. Commenting allows you to interact with the community without having the pressure to create your own content, leave a quality comment and chances are you may gain a new follower - this increases your chances for higher payouts. There really aren't too many drawbacks to commenting, it can be time consuming to read through larger articles and then leave a detailed and meaningful comment - the bigger the article you're reading the less time you have to find others and comment. With commenting though you would almost always be including a vote, so what you're really doing is showing an interest in a post you want or think will do well and helping it succeed by showing there's interest in it - this will drive more voters and increase your chances of higher payouts. 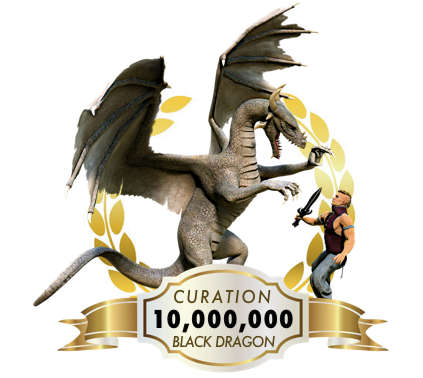 I am combining curation (voting) and the resteem feature, because I believe the two go hand in hand together. One of the beautiful things about steemit is that even if all you want to do is vote, you can still earn money. Another way to increase this is to resteem the post after you have voted, you resteem more people will see it and vote and then you earn a higher amount as a result - it really goes the same for commenting as well. Every user on the platform is incentivised to vote and resteem posts, to increase the potential of their vote earning them some curation rewards - this leads to an overall tendency to vote on as many posts as possible. This is the guide provided by steemit for new users, it is full of detailed information on all the topic I have covered in this post - plus plenty more valuable information for new users to really gain an understanding of the platform. I strongly urge all new users to go and check it out, especially if you want further clarification on the many aspects of steem. This was created by a lot of steemians, but a special mention goes to @timcliff for his contributions. This contains useful information to all users but especially new members on the platform, it explains other aspects of steemit like the reputation system, how to secure your account, the economics that back the system and even the blockchain. If you are unsure of anything it is always worth heading there, to find out if the answer to your question has already been provided. This was created by a lot of steemians coming together to help the community at large. Having access to the chat immediately helps new users have more reach, there are a plethora of post promotion channels available to advertise your posts - plus plenty of other rooms ranging from the abuse channel to general discussion to more focussed areas. There are so many benefits to using steemit chat I can't list everything, but I can try and stress just how valuable this resource is when used well - this tool was created by @riverhead. Steemd is great for users to be able to view all activity on their account, from votes to comments and flags, incoming and outgoing - it's like an active view of activity rather than the content itself. Just add /@yourusername to see your account's activity now, this tool was created by @roadscape. 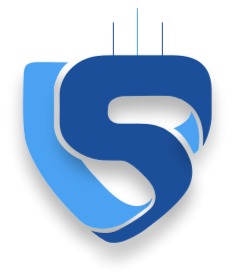 Steemdb is an amazing tool for all users it offers and in depth view of your account, this includes things like followers and following, all of your posts and comments etc. Simply add /@username to the address to view your account, this tool was created by @jesta. This is a shared wiki organised by @someguy123, that can pay you for your quality contributions to the site. This is a really handy tool, which allows you to not only watch over your account and posts etc. but anyone's username that you add to watch. This tool was created by @jesta. This tool allows users to chart their long term progress on steem with an analytics style site, as well as rankings, trending curator lists and few other features. This tool was created by @heimindanger. Steemwatch is a notification system that allows you to tailor your alerts to suit your needs and it was created by @void. Streemian is a site that allows users to automatically vote on users posts you deem worthy, it also allows users to join curation trails - this was created by @xeroc. This tool allows users to calculate their potential post and comment payouts, it includes all active posts with a potential payout - it was created by @ausbitbank. Busy is a site that allows users to view the steem blockchain through a different view and layout, it also provides a few more features like estimated reading time etc. - it was created by @busy.org team. This is a mobile app, for using steem - it was created by @good-karma. This site allows users to monitor all activity on the steemit site live, this means all posts, comments, votes even transfers and deletions - it was created by @ausbitbank. This site offers a directory of all the best tools and apps for steem, created and run by top witness @roelandp. This is a recent post by long time user @sweetsssj, where she gives a detailed breakdown of lifestyle blogging here on steemit - it's packed with useful information for new users to sink their teeth into and inspire them, to create new quality content on the platform. Steemit is a platform where you can choose how little or how much you want to participate, there is no right or wrong way of doing things and this is just some of the ways I have tried to make my work more valued. As I mentioned earlier these are not rules, just suggestions that you can either take on board or completely disregard it. I hope that this post has helped new users know where to start and how to go about it, there are a heap of resources out there to make your life easier for new users - you just have to look for them. What was the hardest part of starting on steemit for you? Great post! I am sure that many new SteemIt users will find this post informative and useful. Thank you for helping to build a vibrant SteemIt community. !00% upvote and re-steemed. You earned a new follower! And I am sure many more will follow too! I really appreciate the follow and resteem, I've followed you back too! Thanks so much hun, I spend hours on most of my posts - I wish I had the time to do more. Always happy to help people especially on steemit, we can only succeed if everyone else does to - I love the mutually beneficial nature of steemit. Yes! This is very helpful. I like reading these types of posts so I can better understand what to do here and how the community feels about things. I feel like it is my job to read posts here now and learn! :) This is a very good and friendly place. This is like when Youtube first started, a lot of the videos were sooo good. Now everything is corporate bs and generic(unless you find some great Youtubers). Definitely following people who make great posts like this. That's great to hear, I was hoping that I would be able to start people in the right direction or at least let them know exactly what their options are. It's brilliant to hear you see it as your job to curate (read and vote) for this platform to truly succeed we don't need everyone to be a content creator, but content consumers are required as well - it's a bit like youtube in that anyone can create but the sheer number of users include a lot of consumers rather than just creators. I'm glad you liked the post and find that it, provided you with some useful advice on how to go about things on the platform. I think now is an ideal time to be encouraging youtube creators, to come on over to steemit and give it a try - with the issues with ad revenue lately steemit would be an amazing platform for youtubers, to jump on early. Yes! I am a Youtuber with over 3,000 subscribers. Youtube barely makes anything for that many subscribers. I made like a few thousand in an entire year with 300+ videos that took me well over 1000 hours to get together. Simply not worth it unless you hit it big. Blogging and posting here is much better not only in terms of monetary value, but you can have more time to respond to others and also consume content(instead of spending countless hours on video editing). If you haven't already you should verify your youtube account by linking your steemit profile, you should keep doing the videos if you enjoy the content you are creating even still post it on youtube - just alos post it here and give it some text and I think you'll be on a roll. I agree it is so much more valuable on here, but the best part is your incentivised to interact and engage with your commenters - and can even be rewarded financially for it, youtube doesn't care how many comments you reply to. You've provided some berry solid personal advice, which is always interesting and useful. For people who've been able to figure some stuff out about Steemit, it is very helpful to share that knowledge in your own words with the thousands of new users we are getting here all the time. Also, that is a great set of links. That's the main reason I'm resteeming this post -- so I can reference back myself and check out the tools that I haven't used yet. Thanks so much man I really appreciate the upvote and resteem, I absolutely agree we need to help out the new users - the more this platform grows the better it is for all of us! The tools are the ones I use most often, if I find them useful I'm sure others will too - some of them have been around for so long were just used to them and forget new users have no idea they existed. Top article. Sumps up everything that should be learned prior to starting blogging on Steemit. This should be included into some pdf flyer or brochure about introduction to Steemit. Wow thanks so much, I was hoping to try and just cover the bare basics so people have the right idea about where to start. It is still relevant to old members as well, there are so many amazing apps being developed that you can often miss them - it's always a good idea to check out steemtools.com for a more complete directory. That's a great idea about getting your family in, this is also part of my own motivation - my family are hesitant to drop in. I always advise the long term approach for investment in steem. Once you have the steemit bug you tend to want everyone you like to get on here, it's like come here and take my money (upvote). Thank you for your tool! It is very amazing that steemit had so many tools for people to use. It is much better than some other big community like Facebook or instagram. People in here are very nice to newbie! There is so much room for growth and development of the platform, and it is brilliant to have general users be able build things that will benefit the community at large - the developers do some truly amazing work with their creations. Just added a bunch of bookmarks. Thank you! The Steemviz realtime network monitor is so cool! Makes you really appreciate the blockchain. It's great to hear how many people love the steemviz tool that @ausbitbank (my partner) created, I use it pretty much daily and it's a brilliant way to watch the votes and comments stream on in. Definitely I find so much value in this being a blockchain reliant platform, it allows people like me (fiction authors) to have some awesome protection on it - I will never loose my work it's on the blockchain forever, plus if I were ever to have copyright issues the blockchain provides exact proof of what I wrote and when there are no questions. The blockchain itself is amazing technology or is it use of technology... either way steemit users are protected but the complex nature of the blockchain itself! 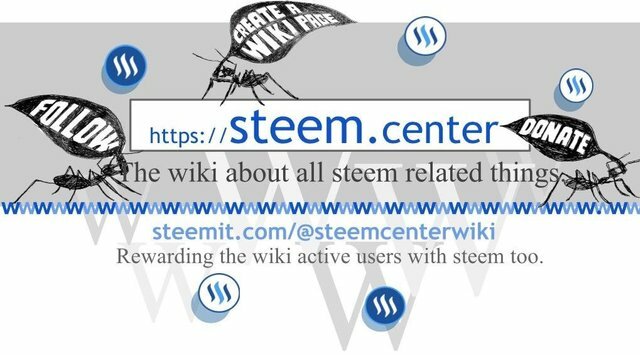 It very useful and informative post for me since I am a new steemian, I wish to contribute more in the steem community, the information provided in the post provide a execllent guide for me to follow and I hope that more and more people in steemit can share this information to the new. Wow awesome comment to hear :) I am glad you think the post is a valuable resource for new users, I hope that it can be as useful to others as it has been for you :D Cheers! Ps, I just read your introduction, thanks for the tears! Our first baby was small as well, and this one is even smaller 2.1kg and 2 weeks to go, so I hope eveything will be ok. I can't imagine how you guys managed mentally but you did, and what's more important is that your both still together, to be a family. Some couples just split after too much stress and can't handle it, so I applaud you. Thanks so much for going back and checking it out, that was my first ever post on here I had no clue what I was doing - I should go back and have a reread lol. Haha well I was going to comment in there but comment section is hidden due to low rating for some reason. Hmm shouldn't be for low rating it wasn't flagged, maybe just too old - you can comment on old stuff now but you weren't able to a while back and I'm not sure if the change was applied to the backlog of old posts.... hmm not my area lol. Hi @krystle, I have copied this article and turned it into a PDF for my future reference! I just joined steemit so this information is priceless thank you!! I'm so sorry I missed this, there are just so many comments on this post it's hard to keep them all straight. That's awesome to hear, I'm glad that what I've made has helped so many new users get their bearings on here. The perfect post for upvoting. Thanks for the support I really appreciate it but in the above post, I mentioned users shouldn't ask others to follow them in the comments section leave that to your posts to help build a following. I am new user thanks for fantastic,informative and useful post. upvote and resteem. You earned a new follower. No worries, I'm just so happy something I put so much effort into, is not only gaining traction but is actually going to be able to help new users become familiar with the platform. I tried to cover as many aspects as I could but there is still so much out there to know and learn, I mean there's a good chance I've missed out on some things since I've been here that could have helped - but sharing the information is the only way we all learn together! Thank you for the informative post Krystle. I was looking for a Steemit app on the App Store unable to find one, your post solved the problem.Moreover it familiarised me to many useful tools like Steemstats, Steemwhales etc... Thank you for that! No worries at all, I'm just happy the guide seems to be helping so many new users - good luck on your steemit journey. This post received a 45% upvote from @randowhale thanks to @ausbitbank! For more information, click here! Thank you for this comprehensive and informative post. It is very helpful and contains gems of wisdom. Krystle this post was very informative. I appreciate all the time you took to describe the different ways to use the platform. In regards to the tool yes pretty much all of the tools are created by users, I have tagged the creators with each tool. As for my family and friends, I have managed to get a couple of people on here but for one reason or another they just haven't been convinced it's worth their time or effort or they just aren't familiar with crypto - there can be a lot of hesitation when stepping into the unknown. I can only hope that now I am achieving some real success here, that they will be inspired to jump on in and give it a go. Thanks for the comment, I just wanted to answer as many of the niggling questions people may have - and then so many came to mind. Great job @krystle. I hope most of the newbies asking me questions can find this. Feel free to share the link to anyone asking if you like, with all the new users lately I've been getting lots of different questions so I figured do a post to answer them as best I can. I'll do so. Thanks for this awesome post to help them @krystle. Great post and advice for people like myself, many thanks for taking the time and effort to write this. It's a treasure trove of information and very much appreciated. Well it's certainly going to help me .. and I need all the help I can get :) .. so it's greatly appreciated. Have a lovely weekend. I thought that was going to be a quick hitter post with some basic tips. No. You went all the way. Excellent write-up for the newbie and the not-so-newbie! I've been actively posting for 26 days or so and it's been a remarkable journey so far. The hardest part about starting on steemit? It's an amazing ride, enjoy it - and I have to agree most people find it hard to trust this magical place we call steemit exists and that it isn't a scam, but it can change your life! I've just started out on Steemit and this is very helpful. I didn't know many of the resources you posted, so thanks for that! No worries, glad to have pointed you in the direction of some truly amazing apps and resources - I use a lot of them everyday, so I really recommend giving them a look. Steemviz is great! I hadn't been able to find out where to keep track of information regarding comments, so really pleased! No worries, it was a large post but intended to be used as a reference for people until the get settled into the routine of things. Nicely written,it gave me a confidence boost that i can make it and find my way in this community, meet new people, and just have fun all around. I always try to publish original work so i got a little discouraged a few months back and kinda just lurked around on here but im through with lurking and this time im gonna be seen. Thank you for your effort that went into wiriting this article and putting all the important stuff and advices into one place. It was surprisingly helpful. I'm so happy that this has helped inspire you to get back out there, a few months ago it was hard on everyone but that's the nature of the market I spose. The best advice I can give anyone is just go for it, there really isn't anyway it can hurt you so why not try? Steemit is addictive and once you have the bug you can just get so inspired by the endless possibilities, this really is a revolutionary way of interacting within a community. Just try and be consistent, always try to reply to commenters on your posts and soon you'll be thriving - it just takes time, energy and focus/commitment. The big thing is it's worth all the effort, all my hard work is really starting to pay off now and I just want to share the way to achieve this with as many people as I can. Muchas gracias por aclararme algunas dudas , a medida que voy entrando y leyendo mas creo que podre lograr mucho , te FELICITO !!! y gracias de nuevo . Saludos. Great post @krystle Hope you and the family are doing well. I'll head over and check out what you've been getting up to, once I get through all these comments lol. I've never seen a better laid out guide for a new user than this!! Fantastic work, I've followed you and am looking forward to more! No worries, glad it's a help to people - we can all succeed on here together, it's either all of us or none.. I really like your post but I always wonder what folks are talking about when they say one can choose the weight of the vote. I have never seen this slider you talked about? Ahh yes this is something that only happens once your account reaches a certain level of steem power, now it is not as important for lower strength votes to be broken down into smaller increments - but as the power grows so does the strength of the vote and the payout, whales don't want to use all of their power at once if they break it up into increments more users can be rewarded. When you do get enough power each time up upvote a post or comment, the slider will appear and you can then select the percentage you wish to apply. Thanks for the answer. I'm curious as to how much steem power I need to get that slider? Hope I can keep providing more content you find useful - Cheers! Great, in depth, easy to read, valuable post, thanks for sharing! I've been around steemit for almost a year now but only a few weeks ago I started re-engaging and being active every day and I feel like a newbie again. Glad to have you back, it's hard not to want to share steemit with those around us - it's just so addictive! Brilliant! Bookmarked upvoted followed. Thanks for a full on steemit how to get started post. Looooove it. That I did, many many hours of work - hope it helped. Great post, you described me, signed up in November 2016 and had no idea what to do until last week. I'm sure it will help many! No worries, I agree visibility is so hard especially at first. My biggest suggestion to help in this area is to connect with other users via their comment sections, making quality comments and fostering relationships and interactions is the best was to gain followers - more followers more votes. It really isn't a get rich quick scheme a few months ago some of my posts were making 12 cents, I've been here for 11 months and this recent influx of support isn't something I am used to myself yet. People like my partner @ausbitbank are making a conscious effort, to support new users creating valuable content to help them on their way this can be votes and resteems. Steemit really is centered around a social focus, getting out and meeting people and making them want to support you and your work. Might I add, there simply aren't enough whales here to upvote the huge influx of new users. I agree and this has been an issue for a long time, it is something we have been working on for sometime. Our current solution was the whale voting experiment where, whales either didn't vote at all or lowered the percentage of each of their votes - this gave minnows a lot more power in their votes and helped start to stabilize the communities earnings. Our long term solution comes into effect fairly soon (the next few weeks), there is a new hardfork planned which is going to change the reward curve - this means that people's votes will be worth more than they are now and it's not so reliant on whales. Steemit is growing and evolving, it has changed so much since I joined 11 months ago and I assume it will in the months to come - we are attempting to fix and improve things as we go. I was stoked to be getting 12 cents the thing to remember is that, facebook would have paid you nothing so your up - plus this all counts to building things up for yourself in the future. I always try to remember even on lower earning posts, every cent adds up - I had a coin jar where I threw all my loose change mostly five and ten cent coins, eventually the jar was full I counted it and I had over $170. Whale votes only make a massive difference when a heap of other people have already voted or a going to, you need to promote to a large audience rather than hope for one good view from a whale. The whales will find content usually after others start to spread it and vote, you need all levels of support to succeed here - networking and getting resteems makes all the difference. As a newbie, I found this post very helpful and I think I will be needing it again soon. I find it hard to get followers and hoping your advice will get me going. Thank you so much! The best idea I can make for fostering positive relationship with you followers or even just to build up your followers is to reach out to content creators that you enjoy watching/reading and spark up conversations with the authors - if you make a concious effort to engage most creators on here will want to foster the relationship. It's important to realise everyone benefits when things go well, high comments on a post you have created drives up traffic and encourages new readers - this way everyone is really working toward the same goal. Hi @krystle. Loved the post. I got some great ideas from you again. Thanks for checking out my new post too. Hey there glad you found it helpful, I just popped over and checked out the introduction post - there are only two aesthetic suggestions I have and they really aren't big. First is break up your paragraphs into smaller ones, it just makes it a bit easier for the reader to track where they are - as I said minor. The second is to center your images, that way the layout has a nice even flow and your eyes aren't forced to the left with every image - again not a big deal but when you create a smooth flow it makes reading easier and it just looks nicer as you scroll. I've read your post and enjoyed it. Being new not only here at Steemit, but to any item basically electronic. Heck I have never sent a text message. Things are a tad confusing for a 77 yr old techtarded, but with help from members such as yourself, things will get better. Ps any chance we could swap brains for awhile. I'm so glad you enjoyed the post and found it helpful, your doing amazing so far by just getting here - I know plenty of tech savvy people who still haven't made the move yet. I'm happy to help anyway I can it you want some extra help, feel free to reach out to me on chat the link is up above - I am trying to help my mum get her first post up at the minute so I'll be getting some more practice with it. I just popped over to check out your stuff, your last post was amazing I just gave it a resteem - I think once people find you, you're going to have a large following on here. Thank you. Your willingness to assist is very admirable. Although I only have the attention span of a guppy and type with one finger. Your comments are like a hand one holds when in strange places. Typing comes with practice, the more you keep at it the better you will do - if you want to work on your typing proficiency you could practice at typeracer.com this could help you with touch typing and speed. Outstanding post. I am so new to Steemit I don't even know what I don't know. This article will help me a lot. Do you know how I get a copy of the quick start guide. I looked on Amazon and the only guide they had was sold out. Once again, thanks for a great article full of info for us newbies. I linked the quick start guide in this post, it is also available to every user in the sidebar next to your avatar there is a drop down menu and it is literally the first tab - do not pay for this it is available for free. That's so great to hear, just giving people the courage to jump in at first can be so hard - so I'm glad I've helped you with a bit of direction. Thank you for this post.It has gave me so much more insight to how this place works! Great post! Valuable information needed by every newcomer to steemit. Thanks for sharing. Really helpful for newbes like me. Thank you! I just wish that this post could be a sticky, since not everyone will have the chance to 'see' it, great gathering of all information, thanks a lot for your time! As for the rest glad I could help, to center you can just wrap the text in < center > < /center > but remove the spaces (it wouldn't display as the actual code sorry) hope this helps. It is a massive learning curve, but once you get used to things it's amazing how fast you begin to pick things up. Hey every cent counts on here, it all adds up! This is a comprehensive & valuable list. Thank you for sharing! Gee! Thanks for sharing this! I've seen the apps above on steemit however i didnt know how to use them. Not until now that i have read your blog. This is of great help specially members like me who are new to Steemit! Thanks! Thanks for the awesome reply, I'm so glad it has helped. The apps are awesome, I use them most days they are valuable resources for us all. Excellent. Communication style and quality is key and it brings great rewards...don't you agree? Absolutely, plus lots of time and dedication - but when the community gets a taste of real talent it can really take off. Wow, following and upvoted, tons of content in this post, thanks! Thanks for the comment and glad the post was helpful, the tools I listed seem to be very popular with some of the new users who weren't here for their announcements. Wow @krystle! So much great info. I am going to have to save this to refer back to it multiple times I think. I'm on my third week and I know I've made some newbie errors quite unintentionally and with no malice intended. These are great tips to help newbies navigate this mine field and I really appreciate the obvious time and effort that has gone in to putting this together to share. It's nice to know there are some people in the community who are reaching out to help others. Thanks so much! I think that's it everyone comes here with the best intentions, but some just aren't sure what they should and shouldn't do. Making it easy for people to understand that whilst there aren't really any rules on steemit, users take it upon themselves to moderate and ensure no plagiarism and for the most part no hate speech and the like. There are a lot of us trying to make life easy for the new users it's just not always easy to make them understand what they've done wrong - like spamming people for follows etc, things that are acceptable on other platforms just aren't tolerated here. I'm glad this has helped and it really was intended for people to be able to, refer back to and use as a tool to learn from. Happy to have helped, Cheers. I love using the resteem feature as a way to find posts of interest again, so many ways to use the different features on here and make them work for you. Steem is like my new part time job @krystle, I read articles and learn new things (really amazing new things) and the best thing is get paid for that. Exactly and that is the true beauty of steemit we finally get paid what we do for free on other sites like facebook and twitter - make you realise in these situations you really are the product and not the platform. It would be great if this post, or a few of the other posts with helpful tips for beginners would automatically appear when a new user signs up. I remember when I started a month ago, I had no idea how to even begin. I think there have been some posts in the past that helped make up, the Where to start guide and the FAQs page it's just getting the info to new users - I think most of us just want to get into things and not wait and learn before starting, it's only after jumping in they realise they might need a bit more guidance on the way. Excellent post with great insight on how to be successful in this platform. I too have friends whom I have asked to join Steemit but because of unbelief, they refuse to do so. But with your post I can forward them an overall working of the platform. Thanks. Thanks. I have just forwarded them your article and awaiting their response. Hardest think was to find out what I want from Steemit, as I was never blogging before, but I always wanted to. I wanted always to have ytb channel. But never done it, I guess motivation was not so big, even though I have some I think interesting topics to start to post about. It can be disheartening with places like youtube, as there are so many people there already it feels impossible to reach any real potential. I think one of the brilliant things about steemit is that I think it will eventually overtake places like youtube, so if you get in now and beat the rush and make yourself a power player by getting in first - well not first but early. 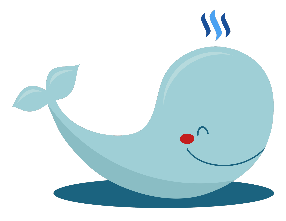 Steemit has a long way to go but we are making massive progress, every time we get a new influx of users more people catch the bug - jump in and give it a go, what's the worst that can happen?